Includes a Sony Vaio Touch laptop. The Vista S1 – the console for the jetset. two DMX outputs to connect your lights and dimmers. 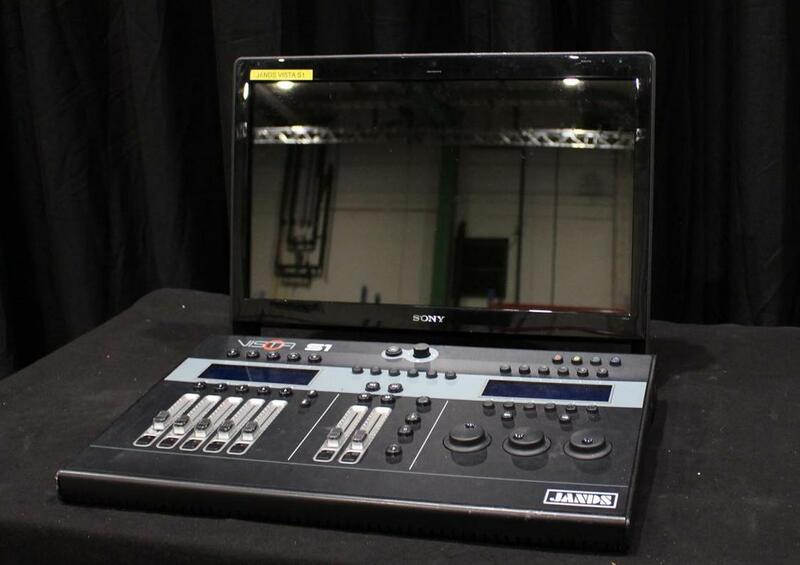 a Timecode input so you can sync your show up to other devices. a Midi input that accepts Midi Show Control and Midi Timecode. two USB connectors for memory sticks and other peripherals. a ‘Kensington Lock’ attachment point to keep your console safe in public environments. With the S1 you can fly your lightshow anywhere without even checking in any luggage. 5 Playbacks with faders and flash buttons.